II. "I'd like some wisteria at Shiroshi, too." II. "I'm always worried you'll go too far." II. "This is a surprise." II. "I'm glad it helped." I. "I don't mind. Do you?" II. "Takes one to know one..."
II. "Are you sure we'll be all right?" I. "How bad is he?" II. "Will you sleep with me tonight?" I. "It did hurt me, yes." I. 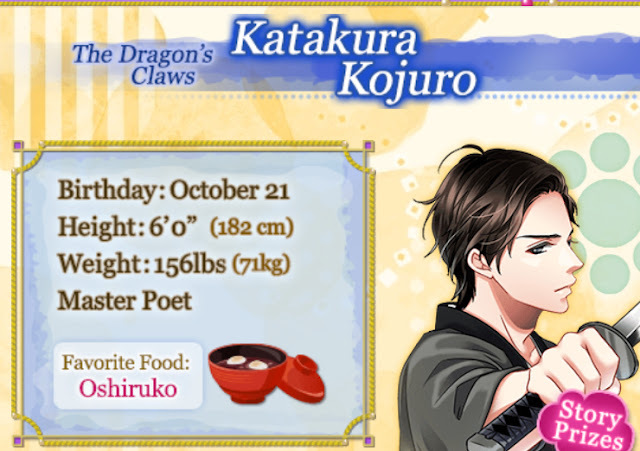 "I want to see Kojuro." II. "I'll just get some tea for you." I. "I'm sorry for doubting you." II. "I am with you." Exalted/Divine Ending: 50 Virtue, 43000 Skill Points. Bound/Noble Ending: 43000 Skill Points.